Mold thrives in moist conditions, growing on any organic material, including wood, paper and fabric fibers. According to Kenneth Hellevang, engineer at the North Dakota State University Extension Service, mold causes cold symptoms, including runny nose, sneezing and watery eyes--and can even cause serious lung irritation. Remove mold immediately to prevent health problems. "If you can smell a musty odor or see mold, you have a mold problem," he advises. Mold grows in carpet padding, under cabinets and on sheetrock behind walls. If you've experienced flooding or have humidity levels higher than 70 percent, you probably have mold. Mold thrives in damp, dark basements. Mix a solution of 1/4 cup dishwashing soap or all-purpose cleaner and 1/2 gallon warm water in a bucket. Scrub the mold using a scrub brush and the soap mixture until no more mold is visibly present. Mix 1/2 cup to 1 cup of chlorine bleach (depending on the severity of the mold) with a gallon of warm water. Apply the bleach mixture to the affected area and allow it to sit for 15 minutes. This kills any remaining mold and disinfects the surface. Rinse the area with clean water. Dry the area immediately with clean towels. Run a fan and open windows to hasten drying. Protect your health by wearing rubber gloves, pants, a long-sleeved shirt, eyewear and a mask. Mold can't be removed from wood by scrubbing. Sand surfaces such as two-by-fours to remove mold. Replace moldy carpets and sheetrock. Identify and fix the cause of the mold. For high humidity, run a dehumidifier. 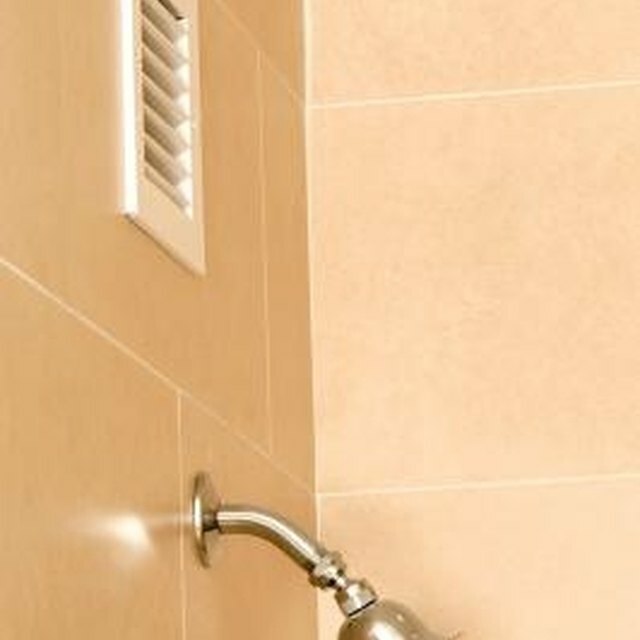 Install fans or drains to correct damp conditions. Seal and paint cement surfaces to prevent mold growth. Never mix ammonia and chlorine bleach. Doing so will create toxic fumes.